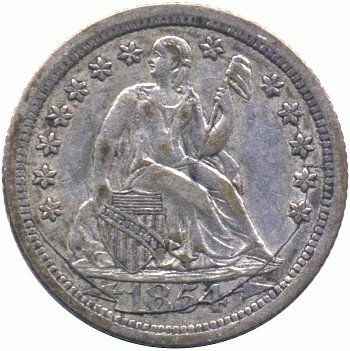 Comments: A rare and highly desireable variety due to a massive die crack that nearly encircles the obverse. Moving clockwise, the die crack begins above Star 7, passes through the top of Liberty's head, through Star 8, the flag, Stars 9 - 13, down through all four digits and arrows in the date and exits to the rim below Star 1. 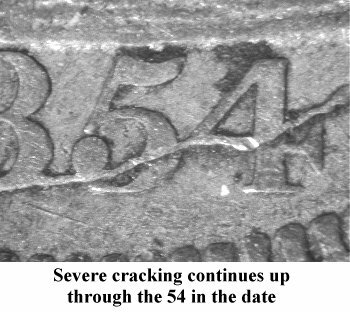 In a late die state, the die crack at the date forms a shelf like boundary between the date area and the rim denticles directly below the date. One must speculate that this die became terminal after striking the plate coin. Even with the massive die cracks, this variety comes well struck. 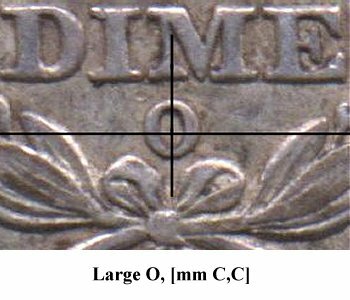 Reverse B has a centered Large O mintmark with significant amount of rim cuds. 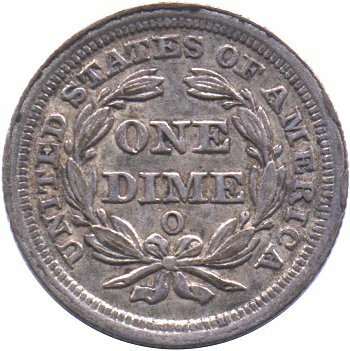 This variety is included in the Top 100 Seated Dime Varieties set and will be most challenging to locate in original VF or better condition. 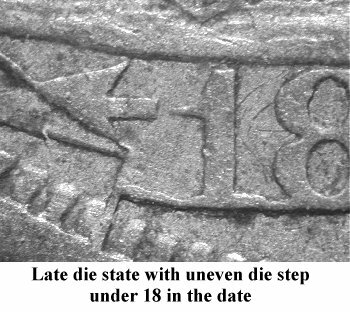 Only late die state examples with the complete set of die cracks from Star 8 through the date and arrows and exiting at rim by Star 1 are candidates for inclusion in the Top 100 set.